Nitrofreeze Cryogenic Solutions provides this cost-effective process to part fabricators including machine shops and OEM manufacturers for the removal of burrs created during machining operations on plastic and metal parts. Cryogenic Deburring does not affect the surface finish or geometry of the part. The deburring tool provides a safe, clean and cost-effective alternative to traditional hand, vibratory or tumbling methods. Parts are placed in a chamber, cooled and impacted with polycarbonate media. The machine burrs are frozen and removed quickly and cleanly by the passing non-abrasive polycarbonate media. Little to no dust or residue remains. Only offensive burrs are removed. Edges are maintained without rounding or other material removal. Cryogenic Deburring works on plastics, polymers, nylons, delrin, Teflon, polypropylene, polycarbonate, ABS, PET, HDPE, PEEK, DAP, Tefzel, PPS, Viton, Torlon, CTFE, Liquid Crystal Polymer, PH Stainless Steels and Beryllium Copper. The computer-controlled process generates repeatable and reliable results. Many medical devices and other high value precision components are included in Nitrofreeze’s vast array of successful deburring applications. Cryogenic Deburring is more cost-effective than labor-intensive hand deburring by a significant margin – and it yields superior quality. Our automated process produces consistent part-to-part results, unlike variations produced by individual operators attempting hand deburring. The cost to deburr parts can range from less than .01 cent to several dollars per piece. A general rule of thumb: the cost is between 10% and 20% of the value of the part, although each part must be considered on its individual characteristics and geometries. Using a range of non-abrasive polycarbonate media that is sized from 0.015” (smallest) to 0.060” (largest), Nitrofreeze is able to reach inside the most demanding part geometry to remove internal machine burrs. We are experts in developing low-cost custom fixtures to ensure burr removal in blind and through holes and other recessed areas of parts geometry. The standard turnaround time for delivery of Cryogenic Deburring is two days after receipt. Nitrofreeze offers same day and one-day service for a small premium. 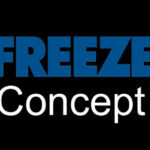 Nitrofreeze supports prototype shops that are working with small quantities as well as high volume production quantities. Part sizes vary from 0.025” with thin walls to much larger parts that measure in inches and have more mass. Nitrofreeze is pleased to provide a no-cost or no obligation assessment of your machine burr problem. If the parts are deemed good candidates for the process, samples can be processed for a nominal fee. We can also evaluate parts on a not-to-exceed cost basis if you have a target cost in mind.